The best 3D printing materials of 2019? We asked our readers. Continuing with our nomination updates, we’re here to see who is currently in the running for the 2019 3D Printing Industry Awards Material Company of the Year. 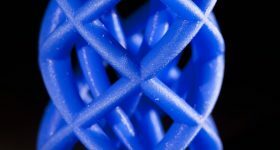 From polymer and metal powders, through to filament and resins for desktop 3D printers, this category includes a range of enterprises providing materials for additive manufacturing and 3D printing. Remember, if you don’t see your company or your preferred choice listed below, there’s still time to make your nominations before voting opens in March. Here is a selection of nominees to date. 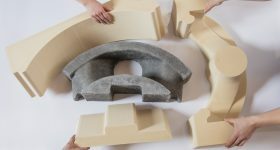 As seen throughout the year, material availability poses a significant challenge to the potential applications of 3D printing. 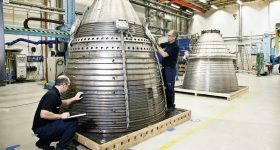 This has created demand in a number of areas, not least where metal additive manufacturing is concerned. 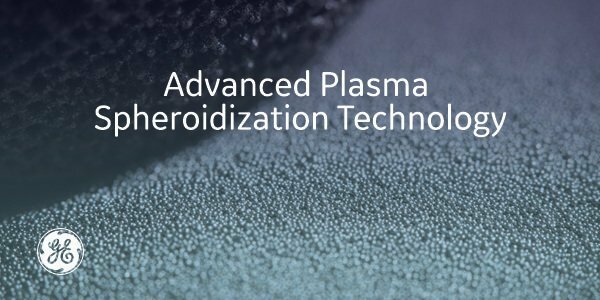 Headquartered in Québec, GE Additive company AP&C is one of the few entities in the world to employ gas plasma atomization for the production of metal powders. 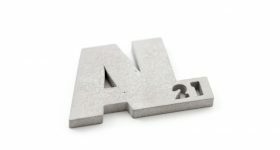 Nominated as 2019 Material Company of the Year, AP&C’s 3D printing material range currently covers titanium, titanium alloys, nickel superalloys, and reactive metals. Further, in response to demand for these fine quality materials, the company recently announced the expansion of its operations in Canada. 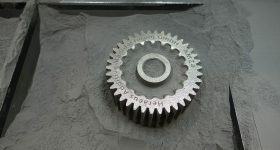 The subject of an $81 million acquisition by Pennsylvania’s Carpenter Technology Corporation, UK-based additive manufacturing materials producer LPW Technology is also a nominee for the 2019 3D Printing Industry Awards. Founded in 2007, LPW has over a decade of experience in this market distributing off-the-shelf and custom made metal powder, alongside specialist kit required for its maintenance. Also currently representing the powdered metals market is Elementum 3D, the company previously known as Sinter Print. 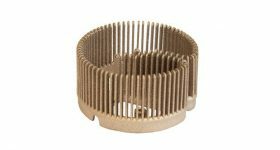 Elementum 3D’s powder range features aluminum, tungsten, copper, steel, nickel and tanatlum alloys. The range of FFF filaments only appears to be growing. 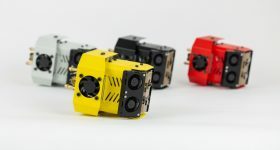 One of the most recent entries to this competitive market is Prusament, the desktop materials range of Czech 3D printer provider and previous 3D Printing Industry Awards winner Prusa Research. Another newcomer in Materials Company of the Year is Fusion Filaments, a premium FFF material producer based in Wisconsin. Also based in the U.S., but hailing from Kalamazoo, Michigan, we have Quantum3D. Test prints with unlabeled Prusament Silver PLA. Photo by Michael Petch. Moving to the more well established companies, Colorfabb has been nominated for the second year in a row, as has Italian material producer Treed, and Chinese material company eSun, that makes resins as well as filaments. 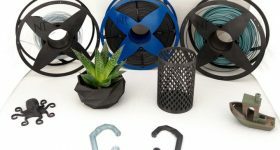 UK-based sustainable 3D printing materials brand Filamentive is also on the list, joining fellow UK material company rigid.ink that offers Masterspool refills. Though perhaps best known for its 3D printers, Ultimaker, a regular attendee of the 3D Printing Industry Awards gala, has been named in the materials category. We also have Armor 3D’s Kimya offering, a range of recycled filaments; Fillamentum, that recently released Flexfill Vertigo Grey and Pistachio Green; and Mcpp, the Mitsubishi Chemical Group Company formerly known as Dutch Filaments. 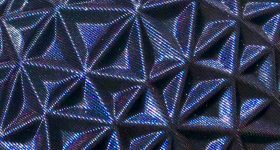 Though metal powders and filaments have formed clear subcategories within Material Company of the Year nominees, there are many more named companies that serve different areas of the market. 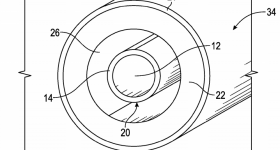 3DLAC, for example, is a company that produces 3D printer platform adhesive, and a spray that reduces warping. 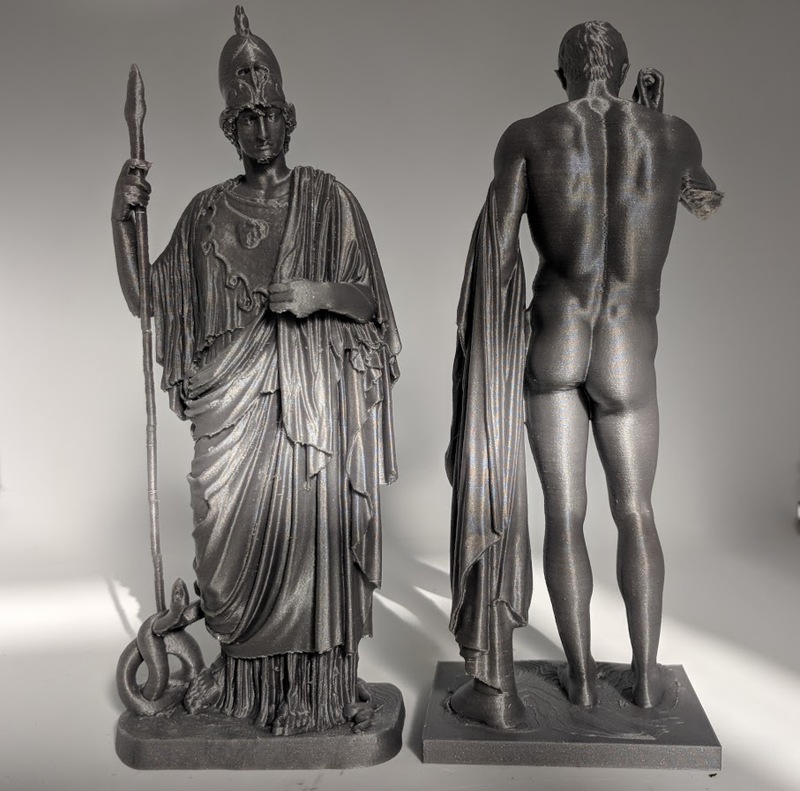 The Virtual Foundry, trophy sponsor for the inaugural 3D Printing Industry Awards in 2018, makes a metal filament for desktop 3D printers, and has also received a nomination this year. Though, like Ultimaker, Rize 3D is primarily known as a 3D printer provider the company also produces a range of exclusive materials for its systems which have earned it a nomination in this category. Most notably in the past year, Rize has entered a whole new world of color in its materials with the XRIZE platform. Focusing on the large-format market, 3D printer OEM BigRep also has a nomination for its materials range including industrial-use BigRep PLA and the temperature resistant Pro HT. 3D Systems sports a wide range of material cartridges for its 3D printers, though the NextDent range has been paid particular attention at the nomination stage. Carbon, that has also been expanding its range of dental materials, has been nominated especially for its price reductions which were rolled out in November 2018. 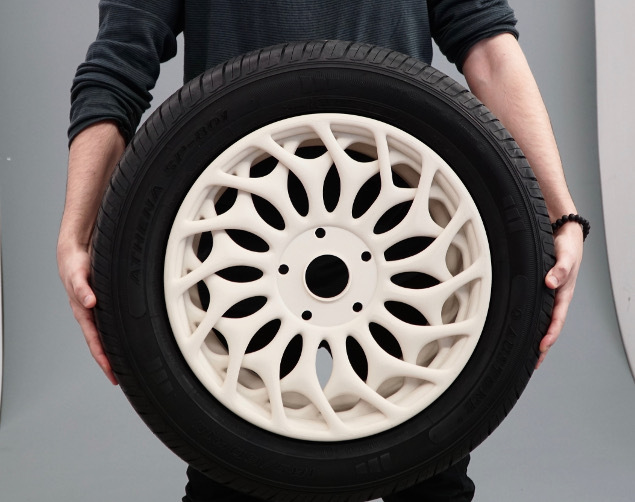 And, finishing this round up of the current nominees, the 2018 3D Printing Industry Awards Material Company of the Year winner BASF has returned for another year hoping to take the top-spot. This time, its Innofil range has also been named as a nominee.